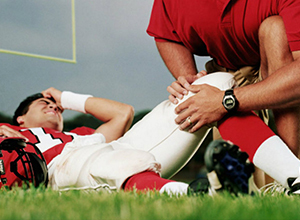 ACL injuries have become extremely common in community athletes. 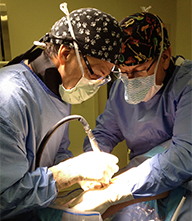 ACL reconstructive surgery has become the treatment of choice for the high demand athlete. I have recently devised an innovative way of augmenting the graft with cadaveric tissue for reconstruction to provide a stronger, more durable graft which can often preclude re-rupture in the petite athlete. Stem cells are the most potent healing and regenerative factors present in our body. Healing subsequent to an injury or surgery involves a complex but specific sequence of events that requires various cells, such as proteins and growth factors to promote faster healing. When used in ACL reconstructive surgery, stem cells have the ability to promote graft ligamentization (maturation) and incorporation (healing) into bone. During ACL reconstructive surgery stem cells are commonly harvested from the upper tibia and then are injected into the graft subsequent to its placement. Platelet-rich plasma (PRP) is a new technology focused on enhancing the healing response after a sports related injury. PRP is prepared by withdrawing peripheral blood from a patient and place it into a centrifugation to obtain a highly concentrated sample of platelets which will release growth factors with healing properties. It also contains plasma, cytokines, thrombin, and other factors that are implicated in wound healing and have inherent biological and protective properties. The prepared concentrate is then injected back into the patient at the site of injury. PRP preparations have been used therapeutically in various medical fields with a more recent evolution and promising results in the field of sports medicine and arthroscopic surgery. Sports medicine patients often require a rapid return to their preinjury level of function, and PRP may have certain applications that will speed recovery in cases of tendon, ligament, muscle and cartilage injuries. In particular, anterior cruciate ligament reconstruction has shown better graft maturation, improved donor site morbidity and pain control. With the use of PRP, the biological integration of the graft is accelerated thus allowing for patients to undergo faster, more intensive rehabilitation and quicker return to sports. This has also been used for meniscus repair, rotator cuff injuries and has an application in osteoarthritis involving the shoulder and/ or knee joint. Because the blood is harvested from the athlete it easily prepared and has an excellent safety profile. Since the advent of PRP, the use of this treatment modality has opened another therapeutic door for sports medicine physicians and orthopaedic surgeons. Future directions of PRP include improving the results of arthroscopic and related surgery, in addition to delineating the correct dosage, timing, as well as ideal techniques of its application. ACL injuries can be devastating as they will often preclude an athlete from playing sports for sometimes over one year. Because of the demand level of most athletes these injuries usually require surgical intervention. Many ACL injuries can often be associated with additional injury such as collateral ligaments or meniscus tears. This will require additional surgery and often require additional time for healing postoperatively. 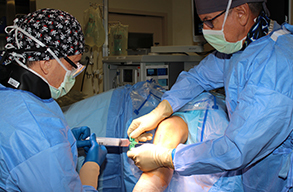 Over the last 10 years, surgical technique of ACL reconstructive surgery has improved as we are now performing an anatomic reconstruction which will often preserve the graft and prevent failure. 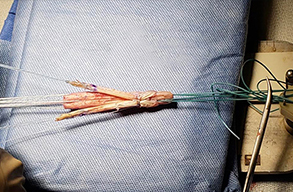 We have been improving techniques, graft types and fixation methods to overall increase the longevity of this procedure despite the possible risk of re-injury when returning to contact sports. Physical therapy is required before surgery which will often improve the healing potential of this procedure. We have also delayed the return to sports which has been a predisposing feature for early graft failure. Despite significant debate today, it will usually take an athlete at least 9 to 12 months to return to sports with no restrictions. Early return to sports will often predispose an athlete to failure. There're many factors that can help improve an athlete’s recovery. Initial compliance with regards to healing and physical therapy is often mandatory. Pre-habilitation prior to surgery is extremely important for an athlete to obtain the full range of motion and strength. Following surgery, a very diligent postoperative regiment is extremely important for the athletes to return to sports and to prevent re-injury. 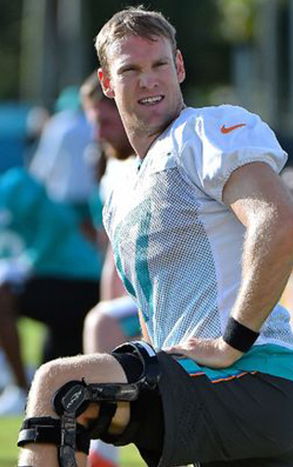 In regards to Ryan Tannehill’s injury, he was diagnosed with a partially torn ACL and a MCL sprain. 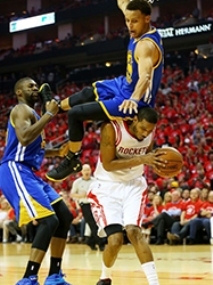 In August, he re-injured his knee where he fully tore his ACL. In my opinion, there is no such thing as a partial tear. Any compromise to the Anterior Cruciate Ligament will often cause instability to an athlete’s knee, especially if he is a high demand professional athlete. All athletes are at risk for failure subsequent to returning to sports however, they can limit that risk by resuming activities once they are completely healed and cleared by their physician. Compliance with regards to strengthening and activity restrictions is usually warranted for the first 6 to 8 months. If the procedure is done correctly and the athlete remains compliant the athlete should be able to return to sports in a full unrestricted manner. 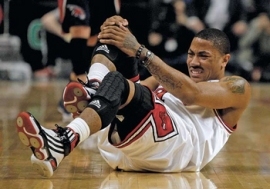 MCL injuries can sometimes be devastating in high level athletes. This is often dependent upon the degree and type of injury to the medial collateral ligament complex. If it is a complete tear, it may take an athlete anywhere between 8 and 12 weeks to return to play. Less significant injuries such as mild sprains will often take 4 to 6 weeks depending on severity. Usually an initial period of immobilization is warranted followed by an aggressive rehab program. I will sometimes use platelet rich plasma in the initial phase of healing and modify my athletes weight bearing for 5 to 7 days. With much more significant injuries, often casting or long-term bracing with crutches may be in hand. Surgical intervention is rarely indicated unless there are concomitant injuries to the ACL and or menisci. Getting an athlete back on the court must be a careful and slow process. Often bracing is warranted and should be used during practice and participating in games. A stress test to the knee during clinical examination is usually the best means of determining whether or not the athlete is ready to return to sports. Sending them back too quickly may predispose them to further injury. A recurrent tear of the meniscus after prior surgery is a very challenging problem for both the athlete and the surgeon. If the meniscal tissue is fragmented, a vascular or unstable from prior injury or unsuccessful surgery, then removal is in the athlete’s best interest. 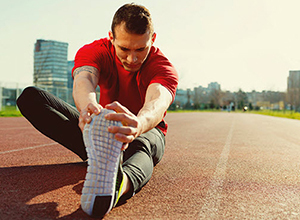 Suture repair of non-viable tissue may warrant another procedure which can often cause physical and emotional delay in returning to their sport. When considering removal it is imperative to only excise the unhealthy portion of the meniscus and to save as much meniscus as possible. This will allow for an earlier return to play and reduce the chance of arthritis. Did you know even mild dehydration can cause an adverse effect on a child’s athletic performance? With fall athletic programs in full swing and the weather still summer warm, it’s crucial that coaches, athletes and parents remain vigilant about proper hydration.
. Diluted sports drinks are recommended for quicker adsorption of electrolytes, if the child has been active for more than 60 minutes. 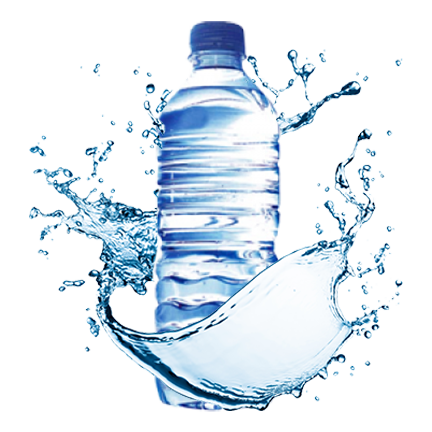 One of the most important functions of water is to cool the body. During exercise, muscles generate heat, which lead to increased body temperature. As this happens, the body will begin to sweat. When sweat evaporates, it cools the body. If the body has not received an adequate amount of water to replace the fluid lost from sweating, it will start to overheat. This is an extremely important when dealing with young athletes. For one thing, children are more prone to heat-related side effects because they absorb heat quicker than adults. And, as many of us know, they don’t often think of rest and rehydration when playing sports and having fun. Until they can understand the importance of proper hydration , the responsibility falls on their coaches, trainers and parents. So remember, lets keep our young athletes hydrated! Football season is here! We all know that football is one of America’s most popular sports. Like with all sports, football comes with the risk of injury. Football has one of the highest risk of injury compared to any other sport because it is a high-impact sport. Tackling, blocking and other physical interactions between players can result in contusions, sprains as well as other injuries. With the 2014 NFL season looming, we decided to put together a list of the most common football (musculoskeletal) injuries. A musculoskeletal injury (MI) refers to damage of muscle or skeleton(bone), which is usually due to a strenuous activity, which is why the following injuries are very common in football players.
. ACL Injuries: The anterior cruciate ligament in the knee can become damaged or torn when a player has a contact or twisting injury to his or her knee..
. MCL Injuries: Injury to the medial collateral ligament of the knee is also very common because it occurs when there is a contact injury to the outside of the knee.
. Torn Meniscus: When a player rotates their body while a foot stays planted, the knee can twist, causing a tear to the meniscus.
. Ankle Sprains and/or Strains: Perhaps one of the most common injury in all sports. Ankles are susceptible to soft tissue injury when an athlete plants and pivots their ankle joint when changing direction.
. Muscle Contusions: A strong impact to a large muscle, usually in the thigh, can cause a contusion. This is basically a large, deep bruise that can impair muscle function.
. Torn Hamstring: Bursts of speed can cause the hamstrings to tear if the player is not conditioned or properly warmed up.
. Shoulder Tendinitis: Frequent throwing can cause overuse injuries like shoulder tendinitis from repetitive motions.
. Shoulder Separation and/or Dislocation: A direct blow to the top of the shoulder can cause a separation of the acromioclavicular joint, while a dislocation occurs when the head of the humerus becomes dislodged from the shoulder joint. Introduce new athletic activities gradually, whether it’s a new training program or just a new exercise routine. This is why: People often jump straight in to a new training program, new exercise routine, or new sport related activity without giving much thought to possible injuries to muscles and joints. By simply starting any new athletic activity gradually, you can avoid these types of injuries. When you are tired, do not train. This is why: Fatigue is one of the most common causes of sport related injuries, and training when you are tired makes you susceptible to many different types of injuries. This is why: Pain is often a sign that something may be wrong. If you experience any pain when training or performing athletic activities, you should stop immediately to avoid the onset of an injury. Don’t ignore minor sport related injuries. This is why: Even if an injury doesn’t bother that much, be sure to allow enough rest for the injured area to heal; this will prevent a minor issue from becoming a more debilitating problem in the future. In order to reduce your chances of injury, it is necessary to take preventative action. It’s true that not all sports-related injuries can be prevented, but with the right techniques, you can prevent most injuries. 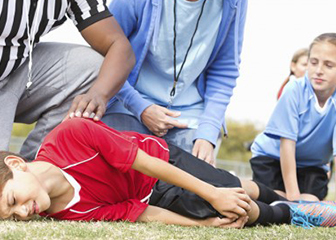 Implementing these simple routines can help you to avoid most common sports injuries. ACL (Anterior Cruciate Ligament) injuries in children and teens are less common than in adults, but they do occur, especially in teens who play a lot of sports. In younger people especially, an ACL injury that hasn’t been treated or even one in which the treatment didn’t work can lead to future knee problems. The knee may become more and more unstable, and over time, arthritis may start to develop. A child with an ACL injury can sometimes be treated without surgery to avoid damage to the child’s still-developing bones. Rehab exercises, wearing a brace, and avoiding activities that require jumping or twisting will sometimes help, but studies suggest that the more active a child is, the less likely these treatments will work and the more likely surgery will be needed in the future. The best treatment option of ACL tears in the young and athletic children is usually reconstructive surgery. This is where a tendon is usually taken from another part of the body and used to rebuild the torn ligament in the knee. Non-operative treatment like wearing a brace or rehab exercises usually fail and can cause further harm, including damage to the meniscus cartilages.
. The knee is very unstable even when performing simple daily activities.
. The knee can’t be made stable with other methods such as rehab exercise or wearing a brace.
. The child has both an ACL injury and a meniscus tear.
. The child is a serious athlete in a sport that requires a lot of running, jumping, and stopping quickly. One of the main risks of surgery in a child whose bones are still growing is “slowed growth.” Another common risk is a deformed thigh bone. These risks vary and depend a lot on the child’s growth development. The closer a child or teen is to full growth, the lower the risk of these problems. In short, the anterior cruciate ligament can be torn in growing children; this actually happens more often than people have previously believed. Choosing the best treatment is slightly more difficult than when dealing with an adult, but with newer surgical techniques and other advances in medical technology, good post-op results are definitely possible. If you have any questions or would like to find out more information about ACL reconstructive surgery for your child, please contact us today.